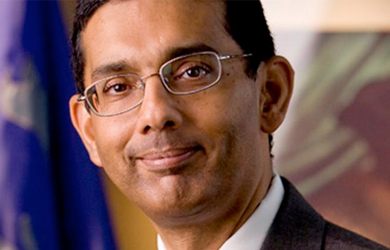 Dinesh D’Souza: Where are Obama’s Ex-Girlfriends? 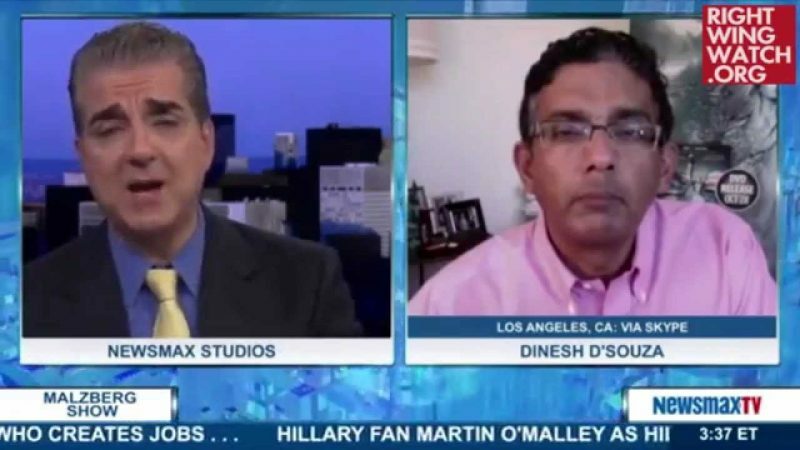 Dinesh D’Souza is out with a movie that is supposed to vet Obama, playing to the conservative activists’ laughable claims that Obama never received any serious scrutiny throughout his political career. While speaking to Alex McFarland, who was filling in for talk show host Janet Mefferd yesterday, D’Souza said that Obama is “the most unvetted man, president, in modern American history,” because he hasn’t released his SAT or LSAT scores, college transcripts, the topic of thesis paper and a list of the names of his ex-girlfriends. As FactCheck.org notes, colleges are prohibited from sharing their students’ records with the public, and we actually do know the topic of Obama’s thesis paper (nuclear disarmament). There have even been extensive stories about his relationship with one of his ex-girlfriends. 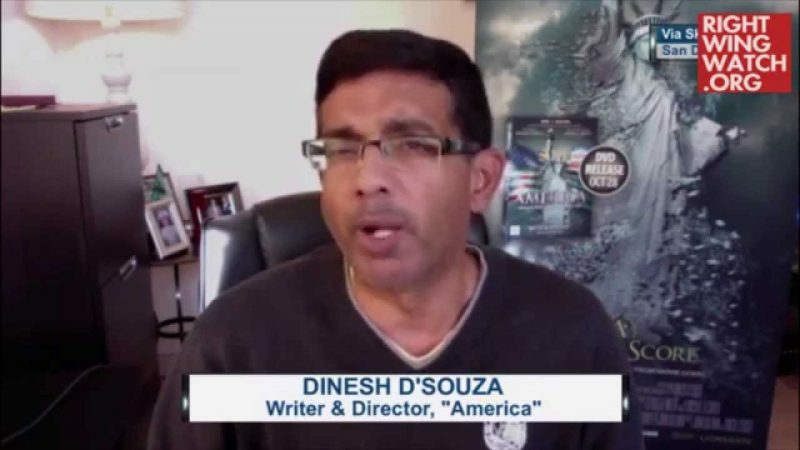 But until we know all of their names, D’Souza seems to think, we really know nothing about the President! So there’s a real chord out—striking a real chord out here, and I think the reason is people are just hungry for new information about Obama and that this film does provide. Very often we hear critiques of Obama but not new facts about Obama. Remember there’s so much unknown about this guy, right? Let’s put aside the birther issue, I mean, what were Obama’s grades at Occidental College? Unknown. What was his SAT score for getting into college? Unknown. What was his GPA at Columbia? Unknown. What was his thesis about? Unknown. What was his law school test, his LSAT score, for getting into Harvard law school? Unknown. Who were his friends at Columbia? Unknown. He talks about having a bunch of girlfriends, where are they? What are their names? Unknown. So here’s a guy surrounded by black holes in his biography, he’s the most unvetted man, president, in modern American history.